Located next to Porterhouse Steaks & Grills, this bar is a laid-back lounge for sipping vintage cocktails and enjoying a flavored shisha alone or with friends. Relax in an ambiance characterized by subdued lighting, dark wood accents and buttery leather armchairs. The open terrace enjoys views of the pool and Palm Jumeirah. Porterhouse Bar invites you to enjoy Happy Hour daily from 6pm to 8pm and again from midnight to 1am, ideal for an apéritif or nightcap. 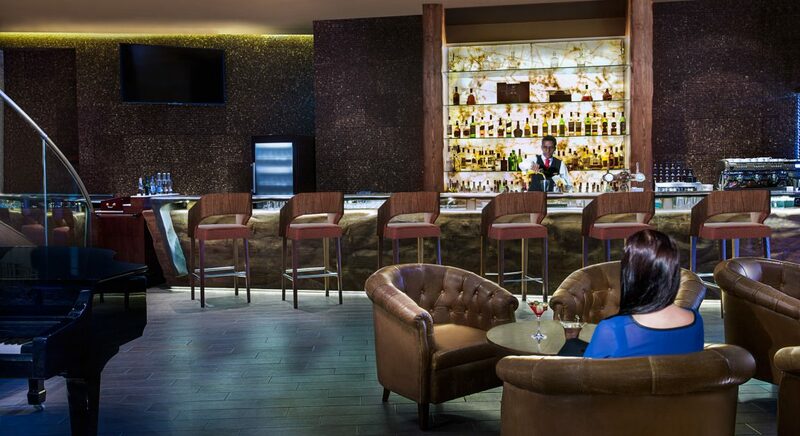 This lively bar is the perfect place to begin or end your evening.